The government educational institutes in Balochistan have failed to impart quality education. Consequently, private schools have been established to fill the vacuum. These private schools, to some extent, are doing a good job by providing quality education which is unthinkable for government schools. In absence of regulatory framework, the private education sector in Balochistan, like the rest of country, has transformed into a lucrative industry. According to a report on private schools by the Institute of Social and Policy Sciences, the private sector has 30% market share in Pakistan. In case of Balochistan only 16% of schools are managed by Private sector. Private schools of Balochistan are situated in urban centers such as Quetta, Pishin, Turbat, Sibi and Loralai and so on. These districts have better quality of education due to these institutes but there is also a negative side of private educational institutes which can’t be ignored. Private schools charge excessively high fee from the students. The parents of most the students struggle to make the ends meet, after paying school fee of their children. Every year there is an increase in the fee of these schools and there is no mechanism to regulate the fee of private schools. Apart from that, private schools earn money in the form of admission fees and different sort of funds such as sports fund, library fund and so on. In most cases the private schools don’t even have playgrounds and libraries but they still charge fee for sports and libraries. The quality of teachers in majority of the private schools is abysmal. Young men and women who have merely studied till graduation or Intermediate are hired to teach the students. The reason for hiring under educated staff is that owners of private schools pay meager amount of salaries to the teachers and therefore don’t hire highly qualified teachers. These teachers who are under educated and ill-equipped to teach can never impart quality education. As a result, the quality of education in private sector deteriorates like the government sector. 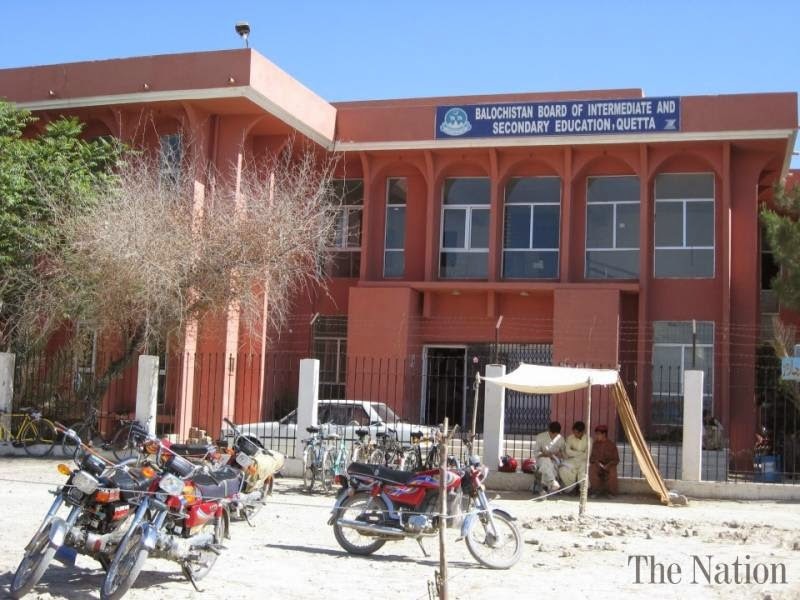 Private schools receive fee from the students during the two months of winter vacation in Balochistan. However they don’t pay salaries to their teachers for these months. When the teachers demand payment of salaries during vacations then school owners conveniently dismiss them from their jobs. There is no platform where the private school teachers can seek justice for the unfair treatment meted out to them by private school owners. Private schools have become a thriving business in Balochistan. People are investing in this sector with the claims to educate the masses. In reality they want to earn their share of profit from the lucrative business of education in Balochistan. Establishing a private school is not a painstaking task in Balochistan. School owners can get their institute registered with Balochistan Board of Intermediate and Secondary education by submitting some forms and paying bribery to the concerned officials. As a result, private schools can be found in every nook and corner of the capital city of Balochistan. The lack of regulatory mechanism for private schools is the source of all problems. There is absolutely no active mechanism which regulates the private schools. Balochistan Board and Directorate of Schools are marred with corruption and they don’t bother to bring private schools under the ambit of government regulation. Due to negligence of civilian bureaucracy and apathy of Balochistan government, students in Balochistan are compelled to receive poor quality of education despite paying high fees. Presently, Balochistan government has imposed an educational emergency. During this emergency, the government is engaged in certain absurd practices such as installation of CCTV cameras in examination halls. Private schools have been completely kept out of the scope of this educational emergency. It’s the responsibility of Balochistan government to regulate the private education sector as well but the government seems to be unaware of it. The Balochistan government can bring reforms in private educational sector by vigilantly monitoring private institutes and preventing them from exploiting students and teachers. The government should conduct a survey of all the private schools in the province. Registration of all those schools should be cancelled that lack basic infrastructure for a school. Applications for new school registration should be accepted after a rigorous process involving minute scrutiny of the applications. Similarly, the government should set up a private schools employment tribunal where private school teachers can appeal against their unfair dismissal. Balochistan Board should set the fee for private institutes after consulting with the schools owners. This way, private schools will be barred from unfairly increasing the fees at their will. All the aforementioned reforms will result in backlash and vehement opposition by school owners who are well connected with politicians. Therefore, the Balochistan government requires political resolve to bring about much needed reforms in the private education sector. The performance of Balochistan government in the last 21 months suggests that it would be naive to expect it to generate the political resolve and bring the required reforms. Dr. Malik Baloch and his associates need to understand that without bringing private education sector in order, educational emergency in Balochistan would not be more than a farce.